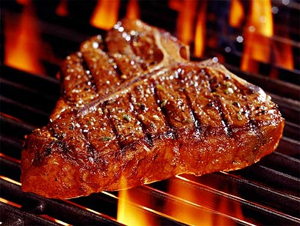 Steak Dinner Marketing… Would Harvard Business Review Approve? As some of you know, I recently sent an email to my students and friends with a very special offer: For everyone who brings a qualified guest to my upcoming “Sales & Marketing for Smart People” workshop, I’m giving away a free steak dinner, actually a $100 gift certificate to Ruth’s Chris Steak House. What I said in my email is that this offer just by itself teaches a very important sales lesson – that you can make some of your very best deals and close a lot more prospects over a nice dinner. It’s a smart sales and marketing technique I’ve used hundreds of times negotiating the deals that have launched my many businesses. I agree. But you don’t have to just “do lunch.” A steak dinner works great, too. It shows your commitment to building relationships that create “win-win” business deals for everyone. It’s definitely worked our great for me – and I sure didn’t need to read Harvard Business Review to learn that a steak dinner is one smart sales and marketing strategy. If you want to find out more, come to my two-day workshop “Sales & Marketing For Smart People.” Bring a highly qualified guest and all three of us might even go out to a steak dinner together and work out a profitable business deal. Count me in. I’m a true “foodie”. The common bond found around the table fosters unity and relationships that are comfortable, making dining together an ideal place to discover and agree.